When Is It Safe to Work out after Breast Augmentation in Maryland or Other Cosmetic Surgery? People seeking cosmetic surgery typically want to look their best. As such, many also lead an active lifestyle, working out and being involved in other physically demanding endeavors. Of course, the amount of downtime necessary is not the same for all procedures. Below we offer advice on when it is safe to work out after everything from breast augmentation in Maryland to an abdominoplasty. After receiving breast implants in Maryland, you will need to be careful with your chest muscles. Typically, within the first month following the procedure it’s safe to workout the lower body and even to mild cardio workouts that don’t involve moving the arms. Stationary bikes are ideal for this type of exercise. After four weeks, check with your doctor to see if you can begin light arm workouts. An abdominoplasty needs longer recovery since nearly all workout regimens incorporate the core muscles in some way. It will most likely take at least four weeks before you can begin exercising, and then only light cardio after consulting with your doctor. Liposuction recovery can take a long time as well, but you can generally begin very light cardio exercises after about three weeks. After five or six weeks mild running and even weights can begin, but only at about half the level of intensity you did prior to surgery. 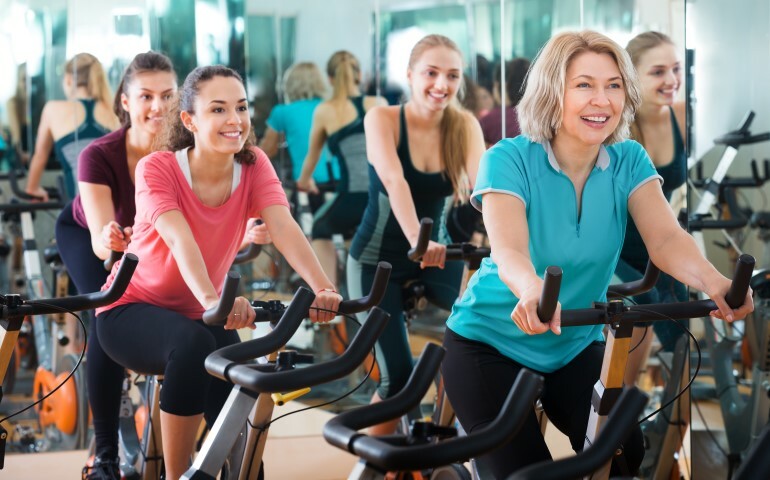 Most importantly, discuss your exercise plan with your surgeon before beginning any form of workout following a cosmetic procedure. While the timelines listed above are guidelines, your individual recovery could be different and you will want to be sure to have tailored advice to maintain the results of your procedure. For more information on recovering after a cosmetic procedure or a mommy makeover in Maryland, do not hesitate to reach out to Dr. Jeffrey Schreiber, who is certified by the American Board of Plastic Surgery. Our friendly staff will happily answer any questions or schedule a consultation. Call (410) 205-1846 today. Tags: Breast Augmentation, breast augmentation Maryland, breast implants Maryland, mommy makeovers Maryland, When Is It Safe to Work out after Breast Augmentation in Maryland or Other Cosmetic Surgery?